Can You Guess Which 5 Celebrities Need Marijuana For Their Health? You probably know some of these celebs use marijuana recreationally, but you may not know they also use it medicinally to treat a number of ailments. It’s no news that lots of celebrities love to smoke marijuana. Miley Cyrus and Rihanna flaunt their enjoyment of the herb all over social media. However, there are some celebs who require the use of cannabis for medical reasons. Let’s look at 5 celebrities who need marijuana for their health. Now, to be fair, some of these folks you would have guessed used it recreationally, but you may not have known that they are using it medicinally for a number of ailments. The former Ghost actress and the host of The View has long been an open advocate for marijuana, but has also been among the first to use it medically to cope with the pain of her glaucoma. Goldberg currently has invested in a vape pen which she explains has made her less dependent on pain meds. After undergoing surgery on her hip in 2013, Gaga, the trooper did not want to disappoint her fans and continued touring and dancing on the injured leg. She used cannabis to cope with the pain and lots of it. She reported smoking upwards of fifteen joints a day. I would go as far as saying this is an example of how not to use marijuana as pain management, but it shows us how powerful marijuana is as a pain reliever. Also in this unique case where someone is paid millions of dollars to perform, it might be worth the number of joints to appease her throngs of fans! 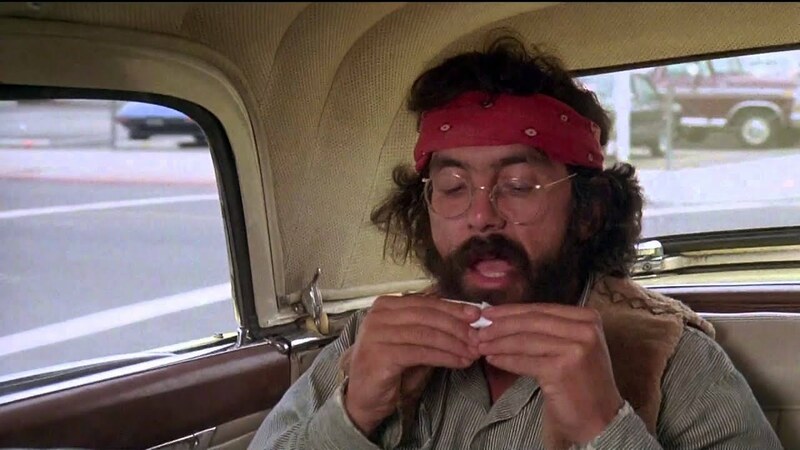 Tommy Chong was THE original pot head from the 1960s. Sadly the actor had been diagnosed with prostate cancer. Chong credits his medicinal use of cannabis as the reason his prostate cancer is currently in remission. Chong has been a recreational marijuana user and advocate for legalization for many years, long before some the people reading this article were even born, myself included. Chong said that he was completely cancer free due to a regimen of hemp oil and other natural alternatives. You’ve probably heard of musician Melissa Etheridge, but what you may not know is that she is a breast cancer survivor. She chose to use cannabis during her chemotherapy treatments and continues using medicinal marijuana for the past nine years to deal with the lingering side effects of her cancer and the high dose of chemotherapy she went through. She says she used it daily to help give her an appetite so she was able to keep her strength up. It also helped with the depression she felt during the chemo treatments. Oliver stone is widely known for directing such box office hits as Natural Born Killers and JFK. What you may not know is that this famous director served two tours in Vietnam and that he smoked marijuana helped him stay sane and keep in touch with reality while the world around him was filled with the horrors of war. Now imagine that cannabis keeping him in touch with reality and keep him sane while the world was burning all around him. Potential for fighting PTSD? The endorsement and success stories we discover by celebrities seems to be growing by the day. Hopefully such stories of triumph will help spur governments around the world to legalize marijuana faster. Were you able to guess our five celebrities? Let us know on social media or in the comments section below.